real name Ricardo Izecson dos Santos Leite, (born April 22, 1982 in Bras�lia) is a Brazilian football (soccer) player who currently plays for A.C. Milan in the Italian Serie A. He wears the number 22 shirt for the club. 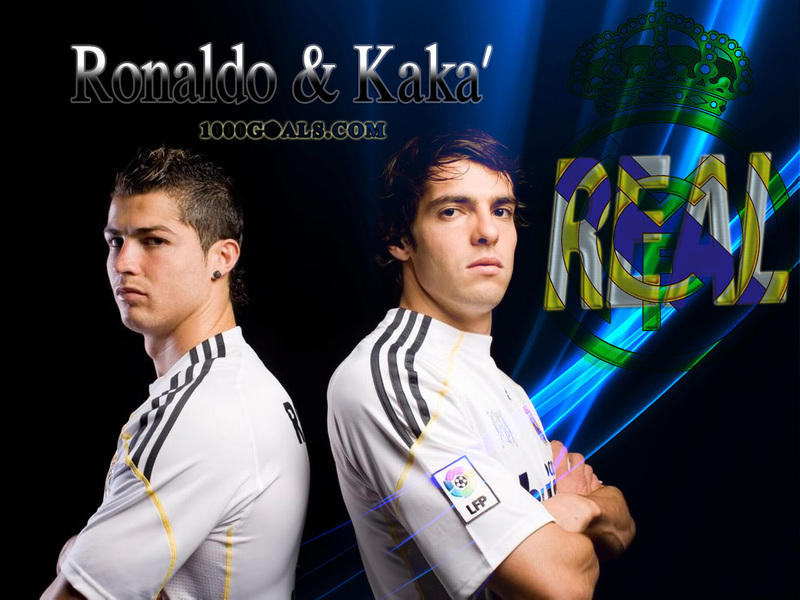 He got his nickname "Kak�" because his little brother Rodrigo could not pronounce the word Ricardo when they were young. Rodrigo called his older brother "Caca" which Ricardo later changed to "Kak�". 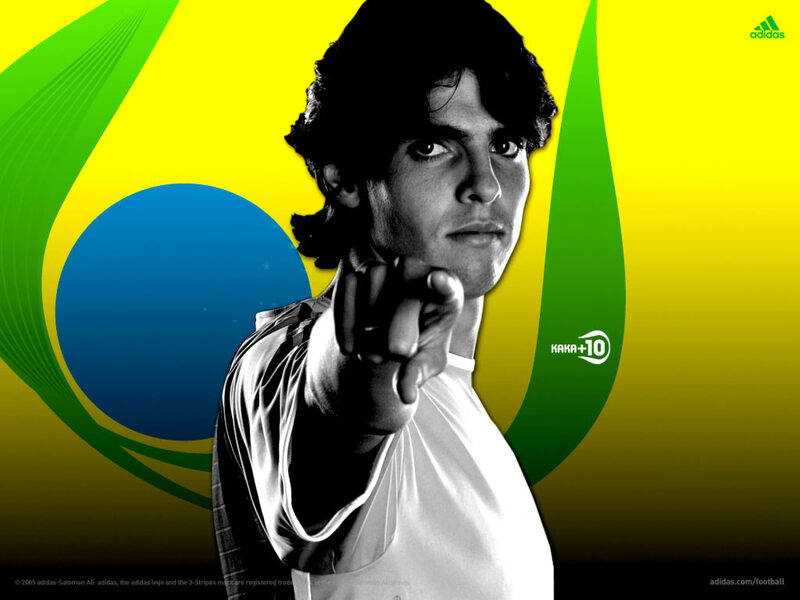 He made his debut at S�o Paulo FC in 2001 while he was only 19 years old. 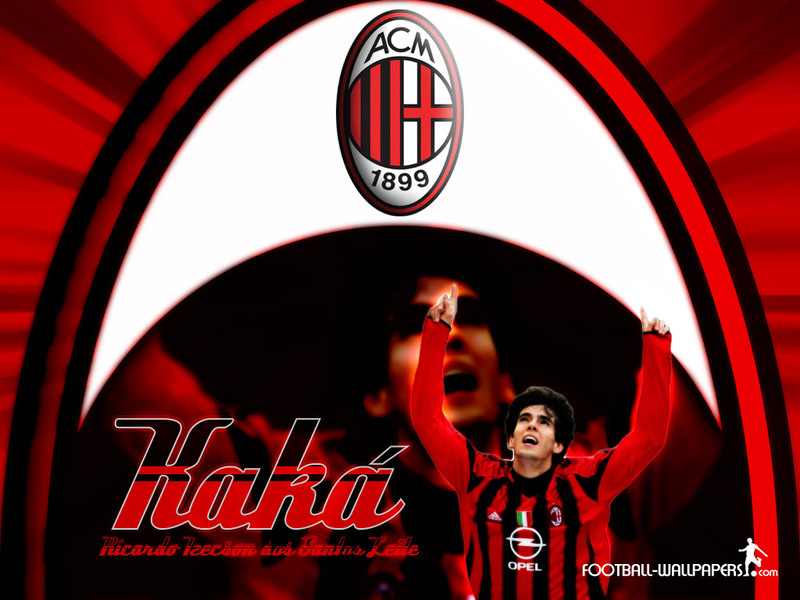 Kak� joined Milan in 2003 for an � 8.5m fee, his first appearance coming in a match at Ancona, which Milan won 2-0. In all, he scored 10 goals in 30 appearances that season, winning the Italian Serie A Championship and the European Super Cup. He was an integral part of the team in 2004/2005, usually playing in a withdrawn role behind striker Andriy Shevchenko in a five man midfield. Kak� started his run from midfield and skipped past three tackles before entering the area and finishing with a low shot under the goal-keeper. Kak� finished in joint tenth place in voting for the 2004 FIFA World Player of the Year award, in the 2005 competition he finished two places higher. When AC Milan won the Serie A title in 2004, "Ricky" (as he is called by his team-mates) sported a shirt with an "I Belong to Jesus" slogan. This is because Ricky risked his life by badly jumping off a diving-board which caused him the fracture of a vertebra. This could have meant the end of his football career but he believes Jesus allowed him to recover and become the star footballer he now is. For this reason, every time he scores he points his fingers to the sky as a sign of thanks. 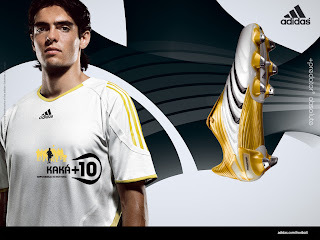 Kak�'s wife is 18 year old (as of 2005) Caroline Celico, who he married on 23 December 2005 at the evangelical Reborn in Christ Church in Sao Paulo, Brazil, in a wedding attended by fellow players from his national team, as well as other well known international players. Guests included Ronaldo, Adriano, Cafu, Brazilian national coach Carlos Alberto Parreira, Julio Baptista., and Dida They met in 2002, and started dating soon after. The nickname Kak� is pronounced as it is spelled (in his native Portuguese). The accent would signify that the stress is on the second syllable. In Italian, the language of his current team, the phonetic equivalent is written Kak�, which is used for Italian television graphics. However, the player's shirt name is spelt KAKA' (with an apostrophe, rather than an accented 'A'), for both Brazil and Milan. .